So you know the photographer Liz of Life Iz Photography who takes all the wonderful photography for me in Los Angeles of my family and rooms which I have designed? Well I'm sharing some photos with you today of her own son's room that I helped her out with. 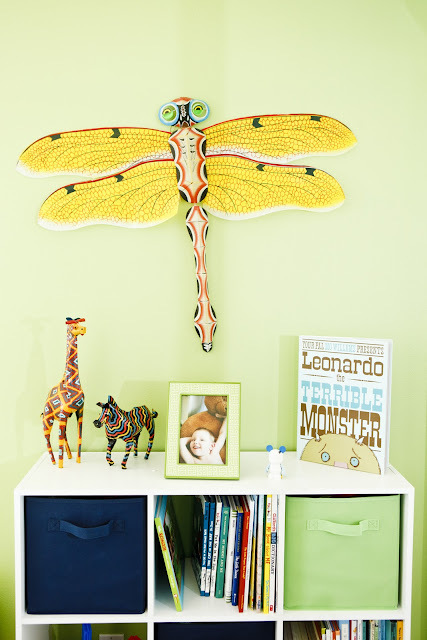 Her son is three years old and full of energy so we wanted a room which reflected his playful personality. The pieces in the room are a mix of high and low with furniture from Oeuf, Nurseryworks and Target. And bedding and accessories from Ikea and Oilo Studio. Liz and her son love everything Disney and many of the decorative accessories were purchased on trips to Disneyland and Disneyworld. And of course the photographs are by her. They are custom printed on stretched protective canvas with green color accents on the boarder. I'm getting one of these done next! For more photos of this room and many more please visit my portfolio on Andrika King Design. That's look like a really fun boys room! How adorable...love the dragonfly and the light fixture...fabulous!! 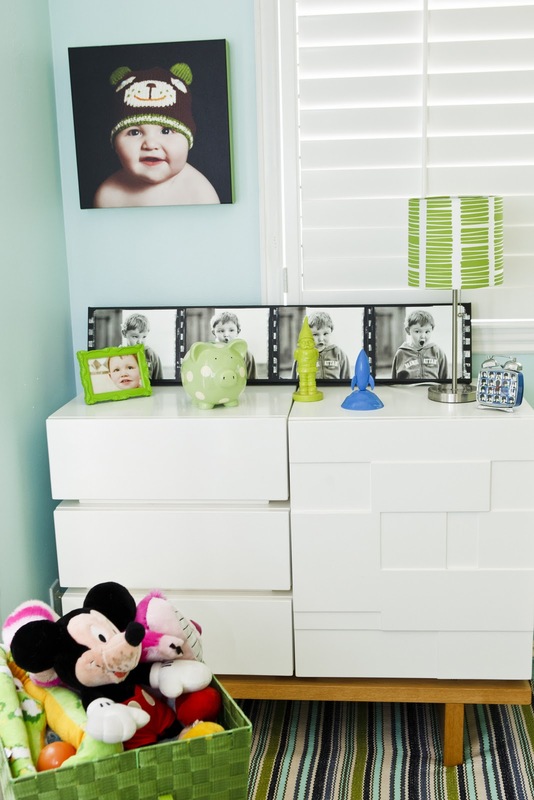 Wow, I really LOVE this boys room ... one of the best I've seen. Thanks for sharing Andrika. I love this room so much that I am using it as my inspiration for my little boys room. Can you tell me what paint colors you used? I too am using this as inspiration for my little boys room and I am dying to know what paint colors you used. Can you tell me? Great work!